Here is a picture of my team. The picture was taken in the Charlie company area in Dong Ha in February or March. Sgt. Tobi Curley, Sgt. 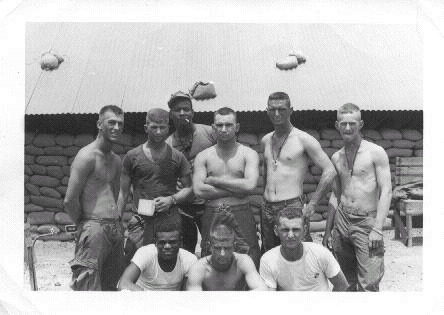 John Sansbury, Cpl Don Jeter, Doc Cassidy, PFC Reid, and I need some help on this Marine.